Thailand’s second largest city is really attracting crowds of people, drawn to the idea of escaping the chaotic hustle and bustle of Bangkok and seeing more of this wonderful country than just beautiful beaches. Chiang Mai is incredibly relaxed and chilled out when compared to other frenetic destinations, meaning that those who want a slower pace of life during their vacation and a chance to really soak up the way of Thai life will adore being here. It is also slightly cheaper than other popular tourist destinations in Thailand, meaning that visitors get more for their money here. 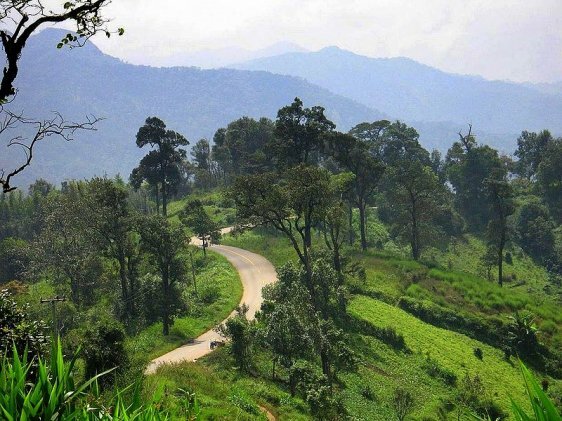 Situated in the foothills of the southern Himalayan Mountain Range, Chiang Mai’s excellent location makes it easy for visitors to access some of Thailand’s most breath-taking natural scenery. Spend some time trekking through the rugged jungle. There are some fantastic national parks and mountains right on the doorstep, complete with amazing waterfalls. There is no better way to cool down on a trek than a dip in some of the inviting waterfall pools. Thrill seekers can opt to go high into the tree tops, walking at dizzying heights along jungle canopy walks or whizzing along zip lines. Spend some time on the river, enjoying a pleasant boat ride or some adventurous rafting. In Chiang Mai people can learn about, and spend time with, Thailand’s iconic great animal, the elephant. Chiang Mai zoo also provides for a nice day. Take time to visit hill tribes to experience an altogether different way of life and be intrigued by the different traditions. Culture vultures will be right at home, and with a choice of over 300 temples to choose from there is plenty on offer. 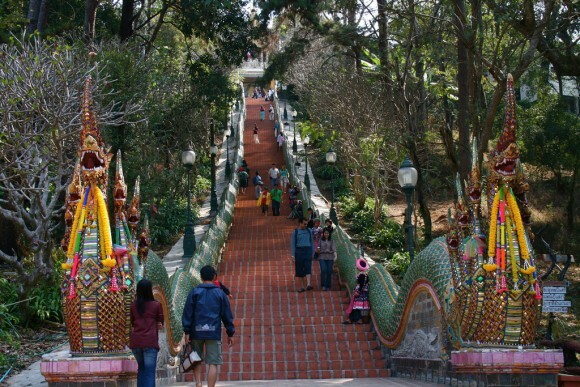 One of the most famous, Wat Phathat Doi Suthep, is perched majestically in the mountains. Enjoy the sweeping vistas whilst marvelling at this cultural gem. Several other fine temples are within easy walking distance of each other within the city walls, including one that is home to a very life-like wax work figure of a famous monk. The old city walls make for a nice walk, as you meander around, lost in a different world. There are many interesting museums to learn more about this wonderful city and country. For a city full of culture, Chiang Mai has managed to blend old with new, with many modern facilities and services, ensuring a most comfortable visit. Chiang Mai is well known for its great selection of activities. Take a Thai cookery course to impress friends back at home with your new culinary skills. Take some yoga classes to learn the art of being focused and controlled whilst improving core strength, balance and flexibility, or try a spot of meditation to clear the cobwebs from your mind and experience a deep inner peace. Those seeking a bit more action can take lessons in traditional Thai boxing and learn some Muay Thai strategies and moves. There are many places to choose from for eating and drinking. Whether you wish to sample some local fare or are hankering after some good home comfort food, you will find it all in Chiang Mai. Enjoy some Thai beers, or even the local whisky, to round off your fun days. Public transport around Chiang Mai is good, and it is an easy city to navigate. It is also well linked to other parts of Thailand, by bus, train, mini-van and air. There are also numerous day-trips available to nearby surrounding areas. For the cheapest flights to Chiang Mai look online but be sure to search for flights to Bangkok as well as sometimes it can be a lot cheaper to fly there and then travel North with a separate flight. 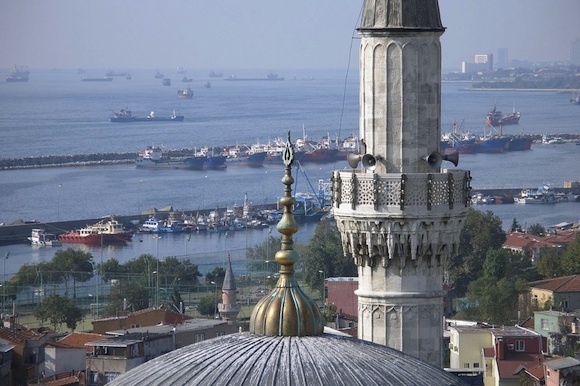 Istanbul is famous for its delicious foods with both eastern and western influences and it hosts some of the most amazing places to eat in Turkey. The grand bazaars, the busy streets, the high class locations, they all hide wonderful restaurants more or less known by the tourists. There are millions of visitors who come to Istanbul every year just for the tasty, traditional dishes that they can only find here. It takes time and passion to find and enjoy these hidden culinary sanctuaries, but the experience is definitely worth it. Particularly popular for its incredibly delicious Kebab, Istanbul hosts the most delightful Kebab restaurants in the whole country. 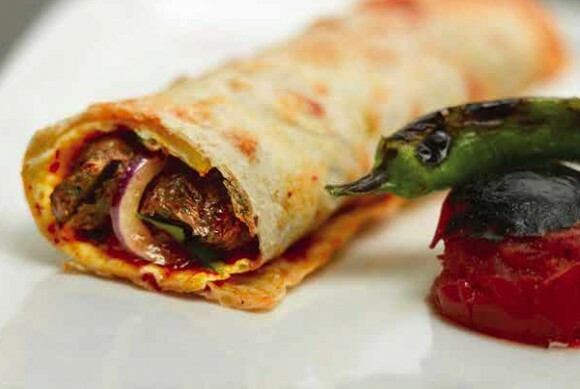 Antiochia is one of the most well-known Kebab restaurants in Istanbul, especially for its delicious ?i? et, a wonderfully flavored dish made of marinated beef, grilled over a charcoal fire. Dürüm, an incredibly tender minced meat wrap with a nice combination of fresh vegetables, is unquestionably the most savory in town. Keep in mind that this is a relatively small restaurant and you might want to book a table before actually going there, just to avoid surprises. Located in the heart of Istanbul’s Grand Bazaar, Gaziantep Burc Ocakbasi is a lovely restaurant that serves amazingly scrumptious food in a nicely decorated environment. Enticed by the delectable scent that comes from this apparently simple restaurant, people can enjoy delicious dishes ranging from appetizing salads to succulent meat. Being in the middle of the Grand Bazaar, this restaurant might be difficult to spot because of the everlasting crowded streets, but once you will find it, you won’t regret your journey! Gram is another special place in Istanbul where you can taste mouth-watering dishes made by two passionate cooks. Even though Istanbul is a highly cosmopolitan city, sometimes it can be difficult for vegetarians to find a proper place to eat. Gram is suitable for vegetarians as it offers a wide palette of delicious foods made with seasonal vegetables, incredibly tempting pastries and guess what: there are all typically Turkish! Eating at Gram is a way of combining your way of life with the local culinary traditions. However, this classy restaurant can offer a variety of meat dishes as well as enticing deserts. Situated on the Bosphorus, in an impressive boat-dock, Rumelihisikari Iskele is a high class restaurant offering a tremendously picturesque view of an inspiring medieval fortress. Visitors can enjoy an incredibly pleasant ambience along with the impeccable service delivered by the dedicated waiters and the talented chefs. The food here is extremely flavorful, the ingredients are always fresh and on top of it, there is quite a wide variety of traditional drinks available at the restaurant’s classy bar. Detailed here are some established eateries in Istanbul but it’s always a delight to sample street food in new and exciting cultures. If you do venture outside of the restaurant scene, be sure to have up to date travel insurance just in case, your stomach takes a turn for the worse! For the best deals use Debenhams Travel Insurance. Shanghai, China is a place of great economic success. It is a fast-paced and fast-developing city with a strong foothold in the financial world. 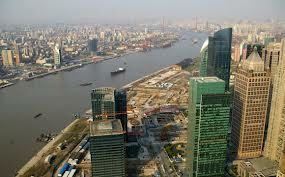 Visitors to Shanghai come here to do business and to enjoy the excesses that come with success. Through all this modern progress some may forget to slow down and take a look at Shanghai’s rich history and strong culture. One way to appreciate Shanghai is to visit its top museums. Here are five of the city’s best and most fascinating. The Shanghai Museum is not what one would consider a beautiful piece of architecture from the outside. It looks rather cold and uninviting, but within its walls there are treasures to be found. It is perhaps the most famous museum in China and is divided into ten distinct sections which include paintings, calligraphy, ancient Chinese bronzes, jades, and more. You’ll find beautiful Chinese Ming and Qing-dynasty furniture and bronzes from the Shang and Zhou period among the many great artifacts on display. Propaganda art has had a tremendous impact on the world’s politics and has shaped the beliefs of the masses through deception. The Shanghai Propaganda Poster Art Centre has a collection of 5,000 posters from the Maoist era. These posters were distributed throughout communist China by Chairman Mao as a way to push his agenda upon the people. The museum consists of only two rooms in the basement of an apartment building and is unmarked. Though small and hard to find, it is a rare and unique collection that makes it well worth seeing. Admission is 20 yuan. The Shanghai Museum of Glass is the newest museum in Shanghai, built in what was once an operational glass factory. The neighbourhood is still an industrial area of rundown buildings, but that shouldn’t stop you from checking it out. From production to final product, the museum offers a look into the making of glass in many forms and gives visitors a chance to learn the history of glass in China and the West. You’ll also be treated to glass-blowing demonstrations. Even the exterior of the building is impressive, especially at night when LED lights behind the tiles reveal words in many languages related to glass. Though the name of this museum indicates a world of creepy crawlies, there’s much more to it than insects. In addition to insects like crickets, huge roaches, and butterflies you’ll be treated to the sight of creatures like snakes, turtles, frogs, and lizards. It consists of a first floor and basement with different sections for its variety of inhabitants. In the basement is the petting zoo where you can feed the goats for a small fee. The kids can also try their hand at fishing. With a theme of “Nature, People, and Science,” the Shanghai Science and Technology Museum has several fascinating displays like the Hall of Widest Spectrum of Life which displays the unique scenery of Yunnan Province. The Light of Wisdom Hall uses several interactive displays to demonstrate the importance of biology, chemistry, and math. You won’t want to miss Robot World where you’ll see a robot playing the piano and you can compete with other robots in chess and archery. 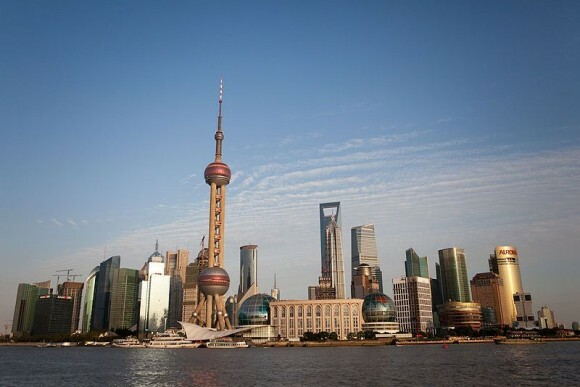 Shanghai is more than a global business giant. Its museums take you into other realms of China’s contributions to the world, a world being swallowed up by new technology and growth. It is Shanghai’s museums that preserve the many sides of China so no one will ever forget. 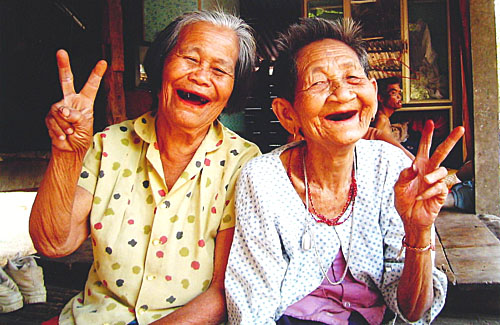 Most backpackers would opt for the northern capital of Thailand, instead of going through the hectic city of Bangkok. 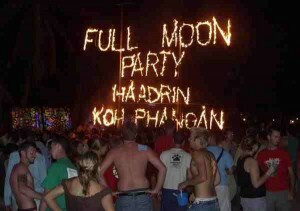 When you decide to visit Thailand, do not forget that most exciting events happen in the old city of Chiang Mai. Here you will get to enjoy cultural festivals, mountain trekking, temple visits and night markets. These are just few of the reasons why more and more tourists are visiting Chiang Mai, Thailand. Malaysia is known as the Pearl of the Orient, where Penang is considered as the best place to relax, eat and enjoy the country in a different way. One of the best things that you should not miss in Penang, Malaysia is the best cuisine in the entire Southeast Asia. You have to make sure that you do not fail to try Penang hawker foods, which is a combination of Malay with Indian and Chinese influences. One of the must-try dishes is the laksa noodles. Visiting Malaysia will surely indulge you in superb eating while viewing sea turtles or going through Penang National Park. Most tourists believe that Singapore is an expensive spot for a holiday. However, you should know that the country is worth a visit if you want to enjoy superb delicacies, go shopping on mega malls and experience a unique blend of cultures. Yes it is true that a visit to Singapore may cost you more than a stay at a Kuala Lumpur hotel in Malaysia or other Asian countries. However, here you will surely experience an unforgettable city vibe. In Singapore you can also discover hidden places and eateries that most guidebooks missed. Yes it is crowded and polluted, but you cannot deny the fact that Beijing, China is dreadfully appealing. Here you will surely enjoy the sight of the Great Wall of China and the Forbidden City while navigating its urban sprawl. When planning to visit Asia, do not forget to consider Beijing as one of your holiday destinations and you will surely become addicted to the beauty of the place and the adventures that it could offer. This may not be one of the cheapest holiday destinations in Asia but a visit to Tokyo will surely exceed your New York experience. Talking toilets, urban marvels and an aloof culture – these are just some of the few things waiting to be discovered in Tokyo. If you have the time, you should not miss paying Tokyo Disneyland a visit to experience a Japanese version of the most popular amusement park in the world. Aside from these party places in Asia for backpackers, you can also consider visiting Cambodia, India, Indonesia, Philippines and Borneo. You can do a research to determine which of these places can provide you the adventure you want for your holiday and of course, the place that will suit your budget. Most independent travellers are suspicious of guided tours when visiting a new destination but sometimes this experience can act as an introduction to a new country and inspire the more adventurous to take off on their own at a later date. For example, escorted tours around Cambodia serve as a great introduction to the country and increasingly these holidays are including more adventurous destinations on their itineraries, Cambodia is developing rapidly so it’s a good idea to travel sooner rather than later in order to enjoy some of the country’s unspoilt and remote hideaways. Sihanoukville on the Gulf of Thailand is rapidly developing costal resort about 185 kilometres away from Phnom Penh. The beaches are luscious and one of the many advantages of this resort are the undeveloped islands just off the coast, including Koh Rong, sometimes known as Monkey Island. The Cambodians have big plans to develop this tropical paradise but currently the island is relatively peaceful, covered with luscious jungle vegetation and offers tourists the opportunity to stay in bungalows built in the traditional local style. There is a bar on the island, but this too is unobtrusive and what a wonderful way to end the day sipping a drink, enjoying either a Khmer or Thai meal and looking out onto miles of unspoilt ocean. The two-hour journey from Sihanoukville should be booked in advance and once on board the boat the trip goes like a dream. To the north east of Cambodia lies one of the most beautiful parks in the country, Virachay National Park, close to Banlung, the capital of Ratankiri province and about 636 kilometres north east of Phnom Penh. This town is rapidly becoming the centre for many tours and wildlife excursions and is a useful starting point for any jungle adventure. Virachay is famous for its indigenous peoples, and also exotic flora and fauna. It’s not unknown to spot a tiger or bear and there are many exotic parrots and hornbills that live in the park. Thankfully the Park is an ASEAN heritage site and this should protect the many endangered species that live within this environment. Entrance to the Park is free of charge, though it is recommended that visitors use a local guide to learn as much as possible about the splendid wildlife and also about the preservation projects taking place here. Ratankiri province is also home to the Kalai jungle and the Kreung indigenous people, sometimes referred to as a ‘forgotten tribe.’ It is believed that there are fewer than 22,000 remaining members of this tribe. Some Kalai jungle hikes will pass through one of their traditional villages on the way and many of these tours will have arranged that their members can stay the night with the Kreung and enjoy some overnight camping. The jungle is full of gushing waterfalls and spectacular wildlife. It is recommended that visitors employ a local guide in order not to stray onto any dangerous hunting paths.